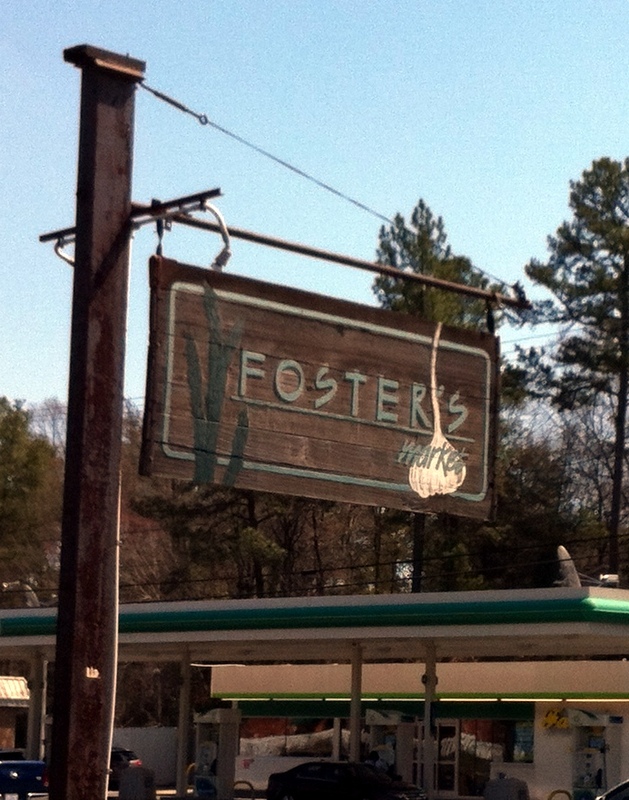 Has anyone been to Foster’s Market in Durham before? Cool fact: Sara Foster started her career working for my fav, Martha Stewart. We went there for a late lunch on Saturday and it was sooo good. I ordered the house roasted turkey breast sandwich. I was proud of myself – I didn’t switch up anything on the menu and didn’t do a “create your own” sandwich like I normally would at a place like this. Didn’t even nix the basil mayo! This is a huge step for my picky-meter. We got the deviled eggs for an little appetizer while we waited for our sandwiches. 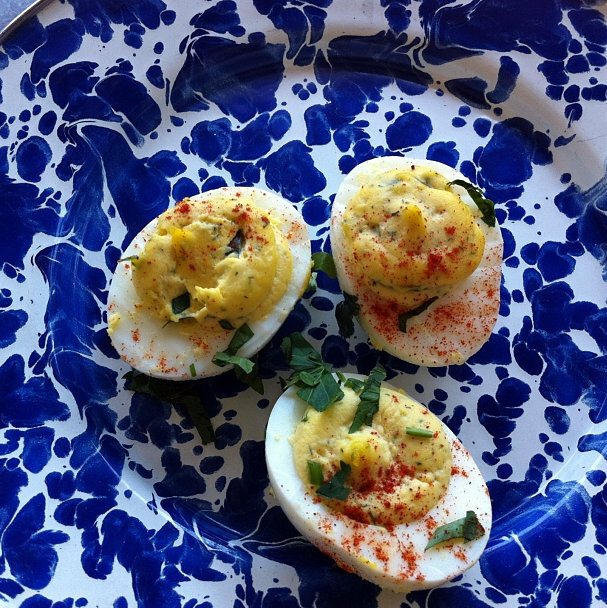 Just like pecans, deviled eggs were everywhere in Durham. To quote Tuna, don’t these look amaze-balls? Best deviled eggs I’ve ever had. 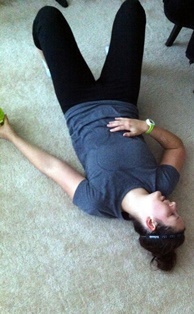 My mom’s bf thought that there might have been some pickle juice in them – but we didn’t think so. Turns out he was right! It’s pretty awesome they have all of their recipes online. I know where I’m going to be getting my spring/summer recipes from! 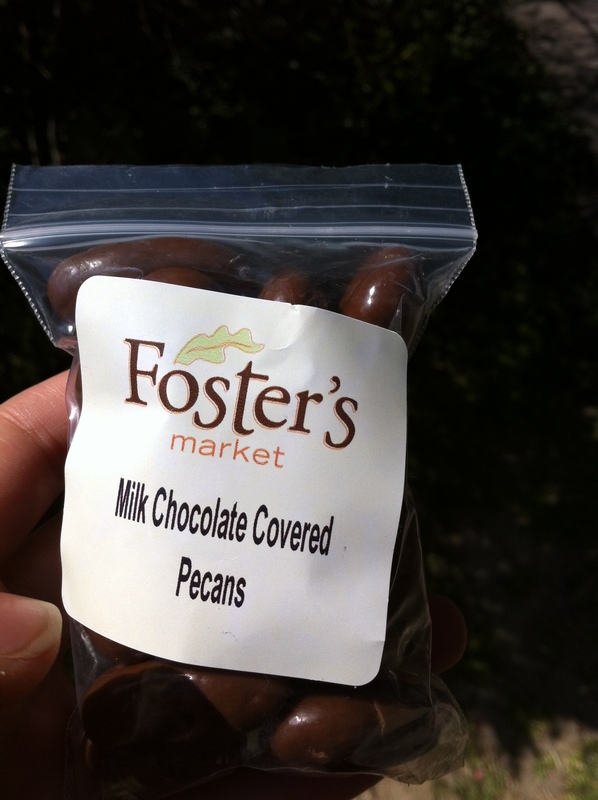 I couldn’t help but swipe a bag of chocolate covered pecans on our way out. I needed some more protein. Yeah. 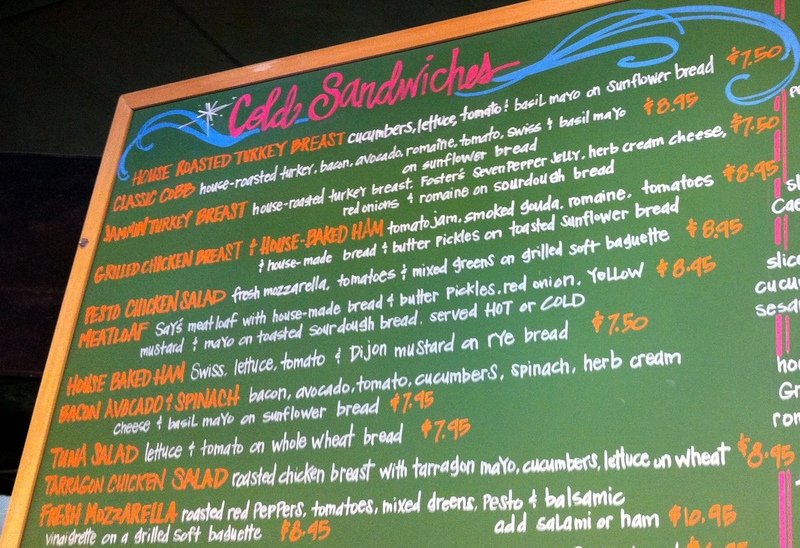 Thanks to Jenn @ Peas and Crayons for hosting What I Ate Wednesday! 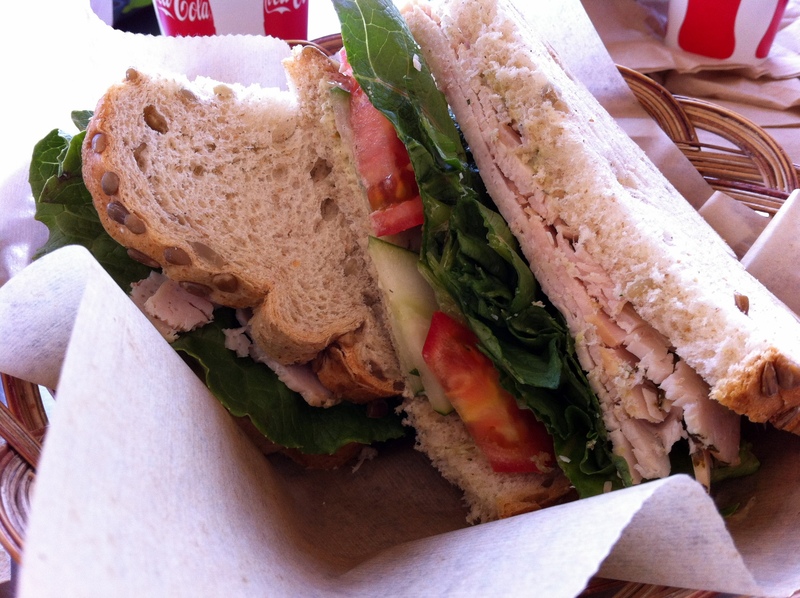 Love the look of your sandwich… so fresh!! It was super fresh. Yay for springtime.